HIROSHIMA - Only 3.6 percent of people living in the city of Hiroshima evacuated from their homes when special heavy rain warnings were issued during last month’s downpours in western Japan, a survey has shown. The low evacuation rate highlighted the difficulty of encouraging people to associate disaster information with evacuation activities. The survey was conducted online by a research team led by Prefectural University of Hiroshima professor Katsue Edo, 49, for two days from July 19, and sought responses from 1,000 Hiroshima citizens. 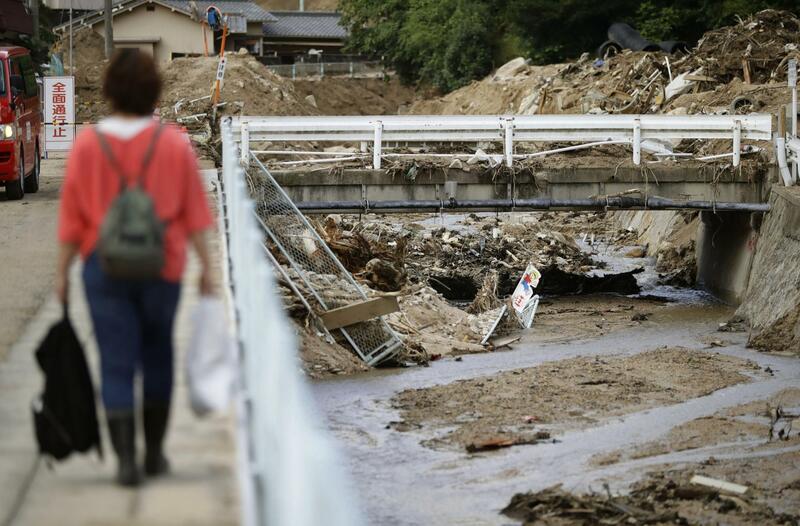 Of a total of 871 valid respondents, 31 said they had evacuated from their homes in Hiroshima, where the local government issued evacuation and other orders during the torrential rain. 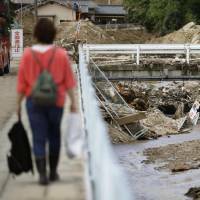 Floods and landslides caused by the rain claimed the lives of more than 200 people across wide areas of western Japan, including Hiroshima. Although 79.8 percent of respondents said they knew of the possibility of a disaster due to the downpour, 37.7 percent said they did took no action whatsoever. Of people who did not evacuate, those who said they did not feel an urgency to do so and those who thought their homes would be fine both accounted for over 80 percent. “I’m concerned that people may delay evacuation as a result of having excess confidence that they will be fine, or making incorrect judgments,” Edo said. While the proportion of those who said they would evacuate if evacuation orders are issued again exceeded 70 percent for respondents in their 70s, the rate stood below 30 percent for those in their 20s. Edo stressed the need to think of ways to educate people — perhaps by using tools such as virtual reality devices, for example — to raise their awareness about disasters. The research team plans to conduct another survey by expanding the scope of respondents to some 10,000 people living in the rain-hit prefectures of Hiroshima, Okayama and Ehime. Through that survey it hopes to gather information on the needs of evacuees, and conduct analysis on issues related to shelter management.